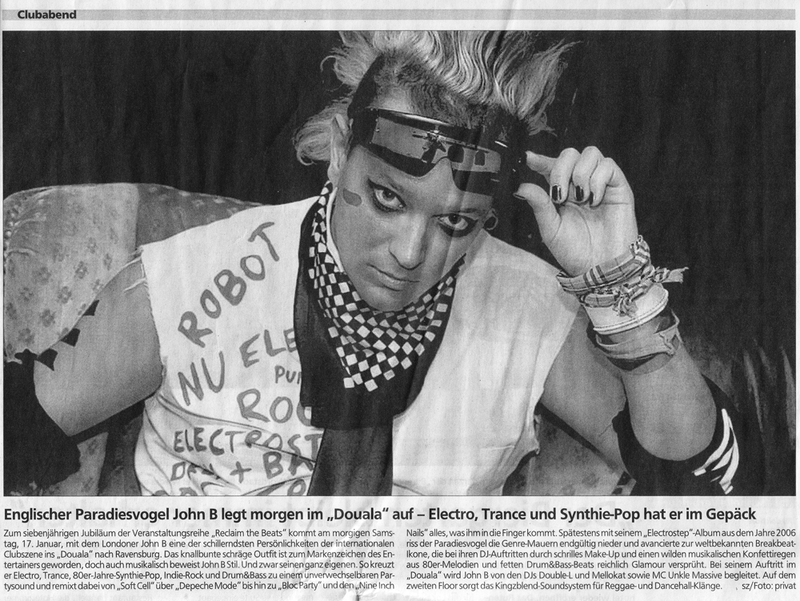 The promoters from the John B gig at Douala in Ravensburg on Saturday night kindly gave us this clipping from the Schwäbische Zeitung, the main newspaper for the region. 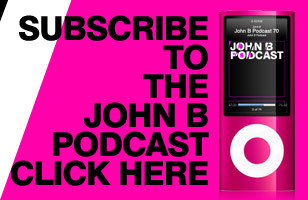 If our German skills are correct it looks like they called John a ‘Bird of Paradise’ hahahah! The mention of Nine Inch Nails lured in a few mega-NIN fans too, along with all the usual electroDnB misfits! Excellent to see such a broad range of fans out at the weekend going mental in such a small town! You can see John B’s iphone photoblog pictures if you click here, and we’ll shortly be posting photos from the pro-photographers on the night too. 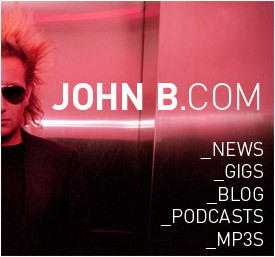 The first John B gig on 2009, if the rest are anywhere near as good it’s going to be a killer year!